Earlier today I was searching through my Twitter feed when I discovered this gem. 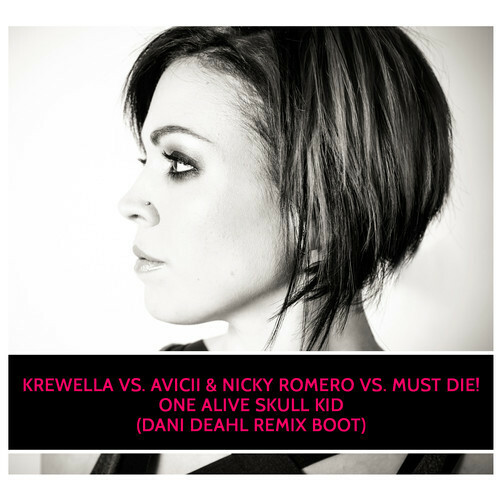 Her name is Dani Deahl and she has made an incredible bootleg! This song features material from Avicii, Nicky Romero, and MUST DIE! Each song is blended perfectly together to make one hell of an electro house bootleg. She even goes as far as changing the piano in Krewella’s “Alive” to give it a whole new sound. Check it out after the break. You can find out more about Dani Deahl by visiting her WEBSITE, TWITTER, FACEBOOK, and SOUNDCLOUD! Cheers!